While cannabis, natures best medicine, has become legal in a number of states, it is still widely regarded as taboo. Yes, in the year 2017 there are still some people out there with a stigma towards marijuana. Smell-proof stash storage is essential. Today, we'll take a look at the best ways to store weed without smell, why you should still use a smell proof container and what to look for when shopping for one. If you reside in a state without legal marijuana, the reasons for looking into smell-proof stash storage are pretty self-explanatory. Humans sense of smell is pretty sensitive. And no one wants to get busted and sent to jail over having a plant. And, in any state, no one wants their mother, father, little brother or sister getting into their cannabis, especially if their family is anti-cannabis. Well, actually, maybe it's better that way so they don't smoke it all! Serious though, a smell proof stash container keeps your cannabis safely hidden from both human and animal threats to your stash. You're going to want something inconspicuous and smell-proof, obviously, but what else do smokers generally look for in stash storage equipment? For starters, there are many different types of containers one can use for storing cannabis, including bags, jars, cases, boxes, and so many more options. Choosing the right container lies mainly in personal preference. However, each comes with its advantages and disadvantages. For instance, some stash containers are capable of holding and hiding more than others, while other forms of storage may be ideal for specific tasks, such as traveling with your herbs under the radar. Take some time and shop around online until you find the perfect box, bag or jar for your cannabis. The following are some of the best smell-proof stash containers on the market, today. What's the Best Place to Store Weed? The quick answer is you want to store your bud in a place where it is dark, devoid of air, cool, and slightly humid. This isn’t an easy environment to create, though. To be specific, it’s the UV (Ultraviolet) rays that do the damage. This same study showed us that air oxidation led to massive decomposition. However, when oxidized in the dark, it resulted in an increase in CBN (cannabinol). CBN, though, is a weak psychoactive by nature, so what you are essentially doing is trading THC for CBN--which, will just make you sleepy. You want there to be moisture, however, too much moisture and you’ll have a bigger nightmare on your hands than just some powdered weed. Mold; it can spread rapidly if you store your bud in an airtight container with too much moisture. 50-65% humidity is ideal for cannabis, it keeps the leaves and trichomes hydrated, keeping them nice and sticky. Some people like to put fruit or damp paper towels in the container to help it from drying out. I would avoid this though if your bud as any moisture to it at all. Unless you have a humidor, moisture levels can be tricky, and you don’t want to mess around and smoke mold. Speaking of a Humidor, you hear to learn the best way to store weed not all the science hoopla surrounding it! And that’s where the humidor comes into play. Specifically, the cannador—designed with cannabis in mind. It works to keep your bud at the perfect humidity, protected from UV rays, and even helps keep the smell from leaking into your living room when you have mom and dad over. What about the Best Way to Store Weed Long Term? If you grow just for your personal use, then you might have enough bud to last at least a few months. You don’t want to leave all of that exposed, and rapidly depreciate in quality. The best way to store it till next harvest is to break it up into quarters or half ounces (or however much you smoke in a 1-2 week period) and then vacuum seal them. Once sealed, store them in a cool dark place and pop one open every couple of weeks. What’s the Best Way to Store Weed Without Smell? There are plenty of fancy “smell proof” storage containers out there, that claim they will hide the smell of marijuana. However, the cheapest and most efficient way is simply a glass mason jar. The odor isn’t able to penetrate through the glass like it can through materials like plastics, which are very porous in nature. What’s the Best Container for Weed? If you’re serious about storing your weed, then a humidor is what you need to invest in. Now, I say invest because they are quite a bit more expensive. However, they are worth it! Humidors have always been used to keep cigars in the perfect condition. Cigars are best kept at 70% humidity, though, while cannabis is best 50-65%. So make sure you get a humidor that can adjust the level to what you need. If you just through your buds in at 70% you’re very likely to get mold. If you’re running on a budget, you can make a homemade humidor with humidity packets and a glass jar or Tupperware. These humidity packets are rated at 63% humidity, which is perfect. Glass jars are probably a go to favorite for most smokers. They do a great job keeping your bud fresh, their portable, and affordable. The crowd favorite going to the mason jar. Glass jars help by preventing oxidization. This is because glass is impermeable inert--meaning, nothing comes in or out. Glass jars aren’t enough by themselves to keep your weed as fresh as it can be. To help, you’ll want to keep the jar in a cabinet at room temperature. If you are serious about keeping the oxygen off your bud, you can look into a jar like the budvac. You get everything you want from a glass storage container, with the added feature of a vacuum to fully remove the oxygen. 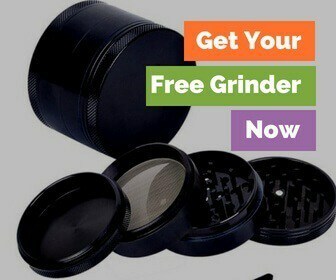 This is especially great if you plan to store your bud for any extended period. Little did I know I might as well have carried them around in a zip lock baggie. You’d be better server storing your marijuana in Tupperware. Temporarily carrying a couple of buds around in a pill bottle is fine, but you should try to avoid plastics of all kind when you are storing any significant amount. Also, it won’t help lock in the flavor of your bud like glass will. Yes, this even includes jars like tightvacs. This is a complete MYTH! If you read the study I mentioned earlier, you’ll know that bud can stay fresh--with minimal THC decomposition--when stored at room temperature for 1-2 years. Anywhere from 50-70° is where your marijuana will thrive, which makes either of these options no good. Avoid the freezer at all costs. In fact, the freezing temperatures will make the trichomes so brittle they can fall off the bud. Now I like kief as much as the next guy, but not at the cost of good smoke! This air-tight jar from Masterdam Rolling Supplies is perfect for preserving the freshness of your precious herb as well as protecting it from harmful UV or infrared light that could dry it out faster. Masterdam's Stashshield UV Glass Storage Jars are made from non-toxic glass and BPA-free plastic which allows only beneficial light rays to reach your stash. Every jar comes with an easily accessible, air-tight, screw-top lid which ensures freshness and retains scent. The Masterdam Stashshield jar is available in various sizes ranging from low profile storage jars which are about the size of a standard grinder, all the way up to taller storage jars resembling blacked-out Mason jars. Masterdam's Stashshiel UV Glass Storage Jars are trusted, everywhere, to keep herb safe and low-key. This bag from Discreet Smoker utilizes a carbon lining to seal and retain smells inside tightly. 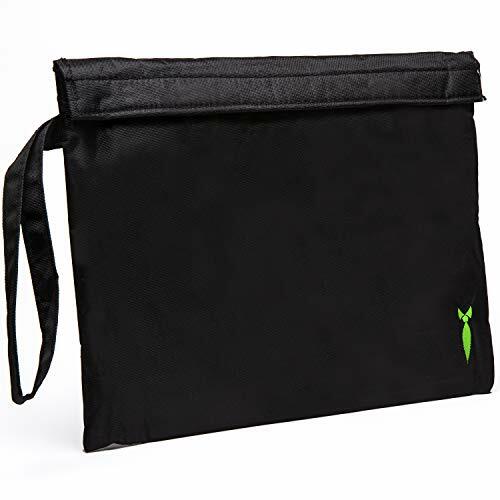 The bag is ideal for larger amounts of cannabis and even has enough room for all of your pieces, trays, grinders and so on. At capacity, the Discreet Smoker Smell Proof Bag can contain around half a pound or 226 grams of cannabis. Arguably the best aspect of this stash bag is the fact that is dog tested. The bag cannot be locked with a padlock or other mechanism. However, it's already difficult enough to access. The Discreet Smoker bag is a personal favorite and can definitely stand up against the test of time as it is made, inside and out, of nearly indestructible materials. Smokesafe pulled out all the stops with this product to ensure every smoker has a safe, easy, and inconspicuous way to store a good amount of quality trees. Smokesafe's smell and odor proof travel case comes with a customizable foam interior made of three separate inserts. This prevents any unwanted shaking and rattling of your stash and accessories. The lid is lined with egg crate foam, and two differently sized foam cores are in the middle, which can be rotated to create almost any custom compartment for your own stash storage needs. 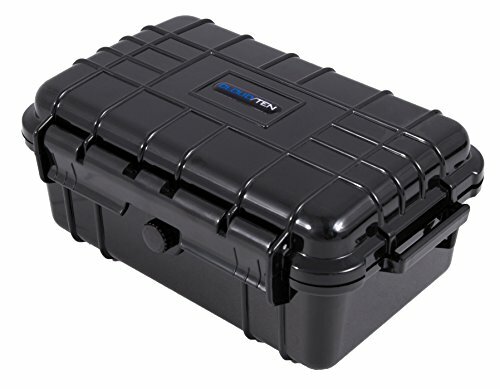 This case is compact and small enough to fit in a backpack for easy traveling. The exterior consists of a hard shell made of polymer plastic. Drops, falls and other accidents can't penetrate this case. Furthermore, the case is equipped with a sealing gasket to lock out water and keep smells from escaping the air-tight interior. There is also a pressure-release screw which you can disengage to activate air-pressurization. Smokesafe is a brand we can trust. This convenient travel case can allow safe traveling with cannabis or merely provide a secretive hiding hole for your marijuana. The possibilities are endless with this high-tech herb safe. Choosing the right form of stash storage for your cannabis may, at first, seem daunting, however, once you understand what you're searching for and why it becomes more clear. A smell-proof container is ideal more often than not weather you smoke for medical or recreational purposes. Keeping your stash in a case, jar or bag with scent retention technology keeps is the best way to store weed without smell. What do you do to keep you stash from stinking up your house?